This simple tutorial shows you how to install Facebook Messenger App in Ubuntu 13.10 Saucy, 13.04 Raring, 12.04 Precise and 12.10 Quantal via PPA repository. As you may know, Facebook Messenger is an instant messaging service and software application which provides text and voice communication. Integrated with Facebook’s web-based Chat feature and built on the open-source MQTT protocol. 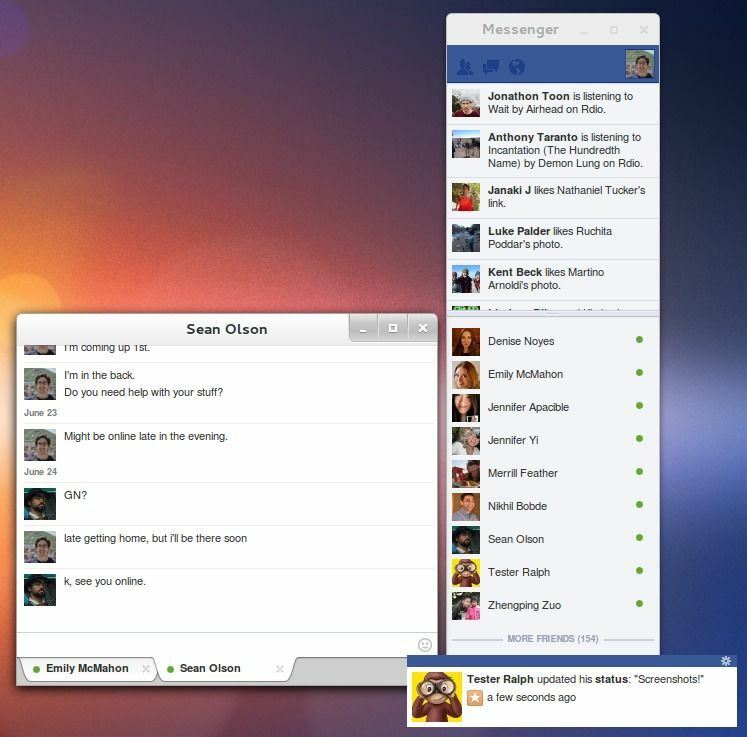 Here’s a Linux clone of Facebook Messenger for Windows. It gives you a chat sidebar, chat popup windows, and notification toasts outside of the browser. Ubuntu users can install it from a PPA created by Webupd8Team. We’re sorry, but we can no longer support Facebook Messenger for Windows, and it will stop working on March 3, 2014. We really appreciate you using Messenger to reach your friends, and we want to make sure you know that you can keep chatting and view all your messages on http://www.facebook.com. Learn more.